"This product continues to mold me .. I started off with a size small and now are using the xs! It gives me a beautiful booty! Highly recommend this to everyone The zipper on the side is great when sitting down "
"I love my shaper!! The fact the no one noticed that I’m wearing it is crazy!! " "Feels good, I like it!" "Me super encanto la faja Thermal Abdomen Body Shaper, la talla que ordené fue yn poco gra de pero estoy segura que con el intercambio a una talka más pequeña me quedará perfecta"
"Absolutely love my garment, I got a xl because I’m so used to other brands being too tight but I should have gotten a large, either way the material feels great on my body. Will definitely buy more once I lose this wight "
"Excelente, es muy comoda me encanta su textura "
"The products are true to it's description. Overall, I was very impressed with the quality of the material, fit and comfort. It really gives you that hourglass shape, but you still can move and breath. " "Me encantó este producto, excelente calidad, muy cómodo e invisible, ordenaría una talla mas grande." "I’ve baugthen 3 different fajas form CYSM & I love them all. They are great for post surgery and to help you mold your body. Quality material, holds their shape after washing. Shipping is also very quick! Highly recommend them! Will not buy another faja from anyone else. CYSM is where is at ladies. " "Me encanto esta faja...es un poco apretada pero creo q luego se pude ajustar. LLego en 2 dias...Peso 144 y ordene el S. "
"la experiencia fue excelente. la talla es normal a mi medida. peso 144 libras y ordene una S. "
"Es muy cómoda me encantó no se nota y aplana muy bien el vientre hace muy buena figura me encanta gracias cysm"
"Está súper muy cómodo. Se ajusta muy bn yo lo recomiendo mucho "
"Me gusto mucho pero si me quedo grande de los pechos y muy larga ..pero a pesar de eso megusto mucho como me apreto mi abdomen y mas a hora que acavo de tener a mi bebe." "Mis tallas en verdad se han reducido Mi cuerpo esta muchísimo más moldeado Ya no puedo vivir sin mi faja. " "ME ENCANTO MI FAJA. Y MUY BUENA CALIDAD. ESTOY POR COMPRAR OTRA." "Love the product, however I needed more compression around lower tummy." "Lo mejor de lo mejor me encanto❤️"
"I feel very comfortable wearing the bodysuit." "I recently gave birth and needed something to help shape my belly back to normal. Within a day I saw results and could not be happier with the progress! 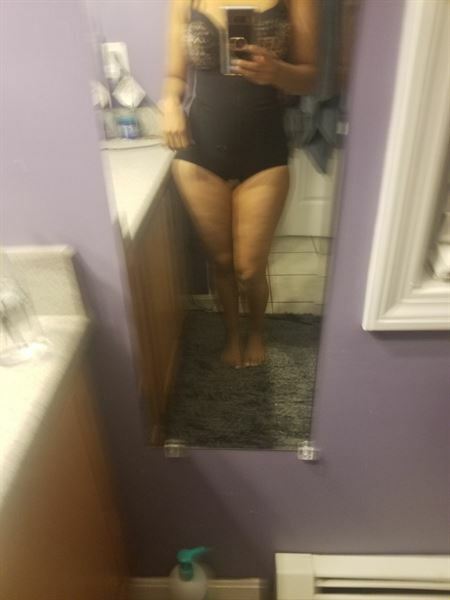 This is my first time purchasing a full body shaper and I'm extremely satisfied with the results!" "Me encantan los jeans estoy súper contenta con mi orde. " "My experience was good. 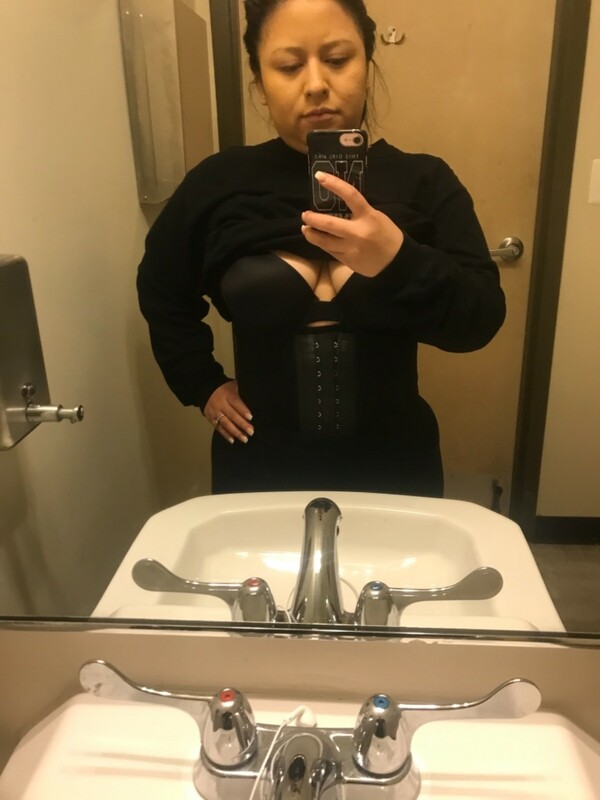 Feel my stomach and abdomen sweaty when I wear it "
"Me encanto mi faja, el soporte que tiene para el abdomen es excelente"
"Estoy encantada con esta faja! Me sostiene y compresión que te da es moderada y se siente muy bien en mi cuerpo todo en su lugar y levanta los glúteos espectacular! La recomiendo as sido mi alternativa porque me da miedo la cerujia y después de 3 hijos y 45 años todo se empieza a colgar y aflojar! " "Never tried the Jeans before and CySM and looks like you guys will be my new store to go for jeans!" "It fit perfectly, already use in past others and it is the best"
"Best in quality best fit easy to put on and to keep clean! Exceptional Customer Service!!" "It was a bit difficult at first to put on. Since my thighs are bigger. But after that it fit perfectly. A bit snugged. And yes I recommend it to anyone. Especially is you just had a baby. And you are trying to get your figure back in shape."